In 15 years since it was launched, Trade Round Table self-imposed as a reference event in the Romanian fast moving consumer goods industry, bringing together over 250 participants in a conference of a day. Thematically, it reviews the changes observed on the market in the current years and identifies new trends, bringing on stage local and international speakers. It is a one day conference organized in Bucharest by the Progresiv magazine - the leader of the trade publications in Romania. Trade Round Table identifies trends in the consumer and buying behavior, it presents fresh information and experts’ predictions and brings the European perspective in retail & FMCG. 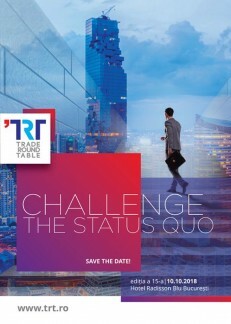 Join us for a day full of insights, at Trade Round Table, and we will measure the progress the retail has made in the current year and look ahead to the next year with expanded lens. 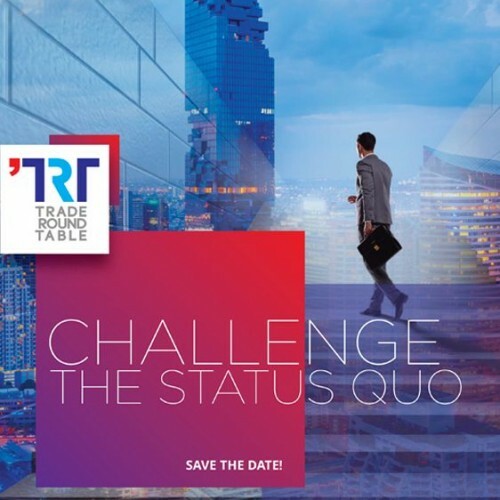 Trade Round Table is a unique opportunity to access exclusive content – while you can develop effective business relationships and collect ideas applicable to your business. 20% discount for registration and payment by September 22, 2019. Limited number of tickets. 15% DISCOUNT for 3 or more attendees from the same company. *It will be applied after the early bird discount.